Why do so many people bounce off your website? How can you corral those browsers into warm leads? BirdSeed is a platform designed to provide you a “one button” solution for engaging and warming up web visitors. BirdSeed’s premise is you need more than one or two engagement options in order to convert leads. For example, “many visitors aren’t ready to interact directly yet while still just gathering information and trying to figure out if you provide the right service or product they are looking to purchase.” For those visitors, BirdSeed advises knowledge bases, showcases, and “link launchers.” But for others, the online interaction isn’t ideal. 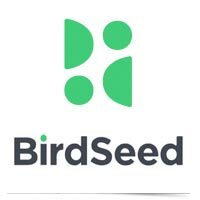 BirdSeed says, “some people aren’t accustomed to live chat, they may find it impersonal, or feel their question is too complex to type so being able to quickly make or request a phone call is important.” The solution? A quick “Call Request” or “Phone Contact” channel. One thing which makes BirdSeed so powerful is the way it offers one button which floats on your website to help sort and direct visitors to the correct channel for lead conversion. BirdSeed offers 12 distinct engagement tools.